Sign: 9% attention-grabbing. Man holding a sign: 14% attention-grabbing. Man waving a sign: 21% attention-grabbing. 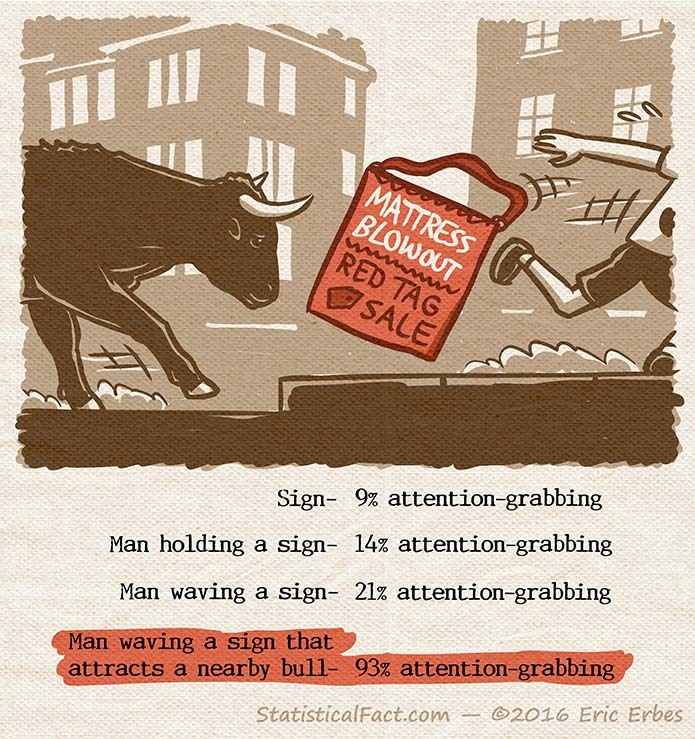 Man waving a sign that attracts a nearby bull: 93% attention-grabbing.